Tomorrow the Olympics will open in Rio. I can’t wait. 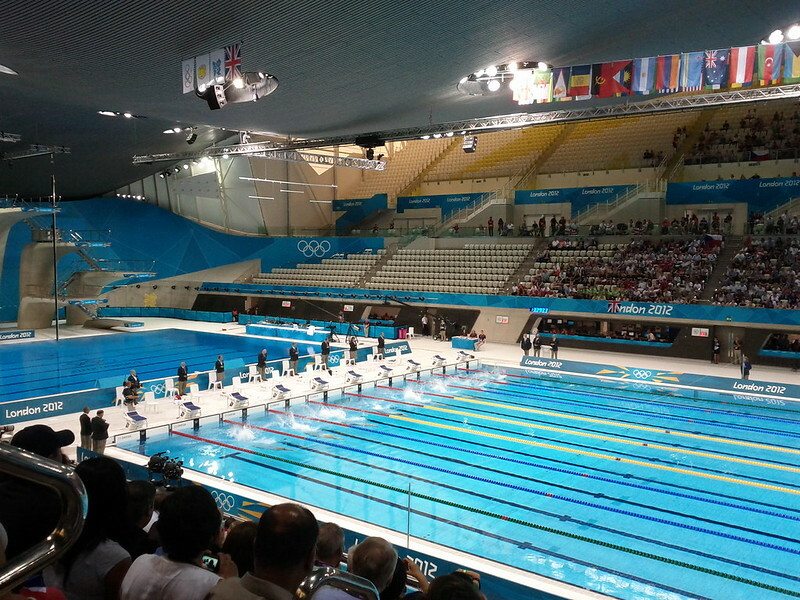 It seems like it was both vast decades, and short seconds since the Olympics in London. In preparation for Rio over the last few weeks, we’ve been watching some videos from 2012, and thinking back to four years ago. There was breeze of the green and pleasant land. 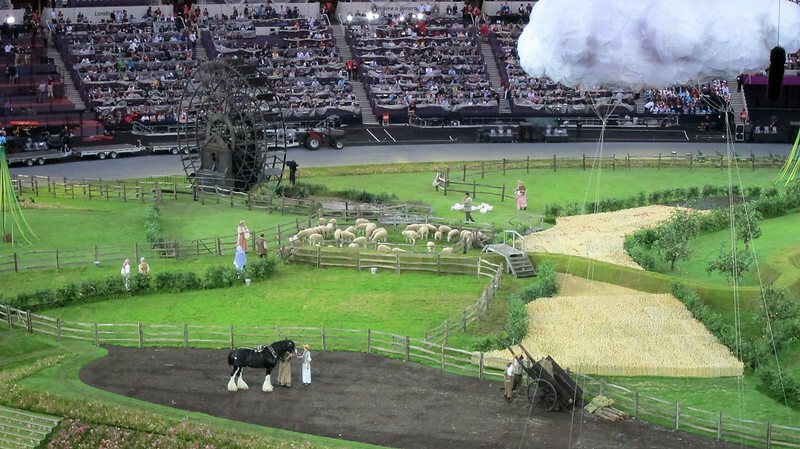 Before the global TV show started, those of us in the stadium were treated to a saccharine sweet British countryside scene, complete with sheep, ducks and a cricket match. As the rain subsided a gentle breeze blew across the stadium. A perfect London summer moment. There was adrenalin, as the countdown to the start of the global show rolled. 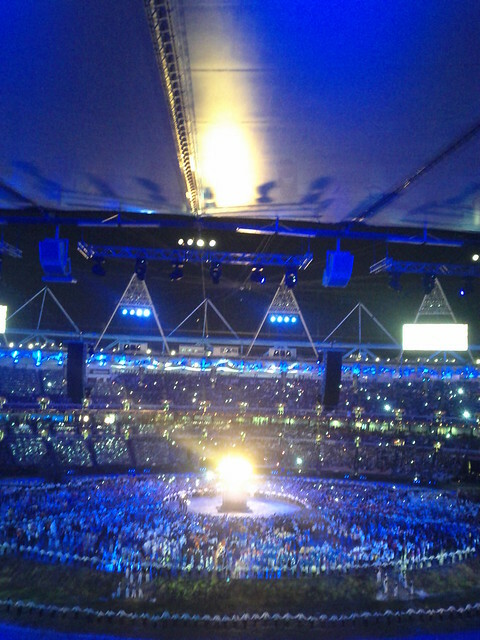 The stadium I was sitting in was about to broadcast live to 900 million people around the world. I’m accustomed to broadcasting, but the size of the audience was staggering. 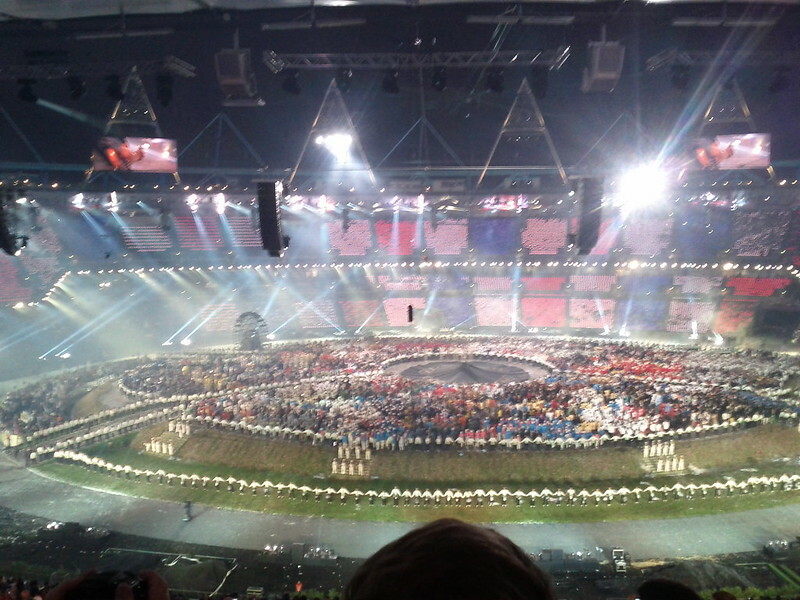 Never has an 80,000 seater stadium, (or, for that matter, a 9 million person global city) seemed so small. For every one of us in the stadium, there were 10,000 people watching around the world, as the green and pleasant land was torn apart in the name of industry and Pandæmonium. There was contrast, as high drama of pandemonium and olympic rings subsided, for the beautifully comic entry of the queen. 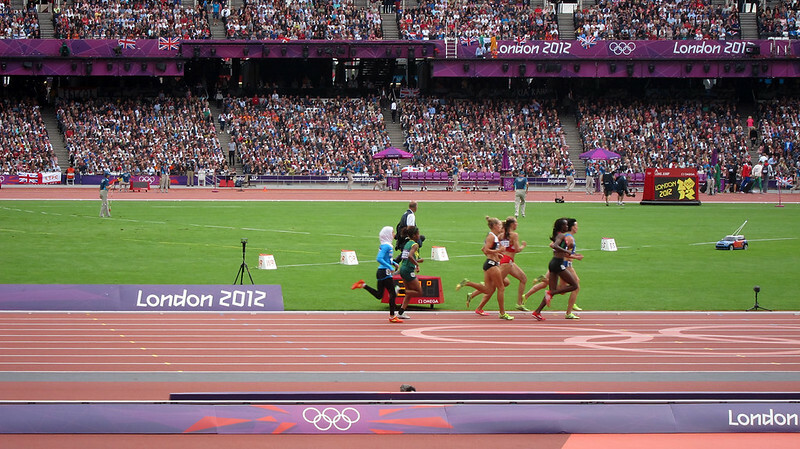 There was rhythm, as the athletes entered. 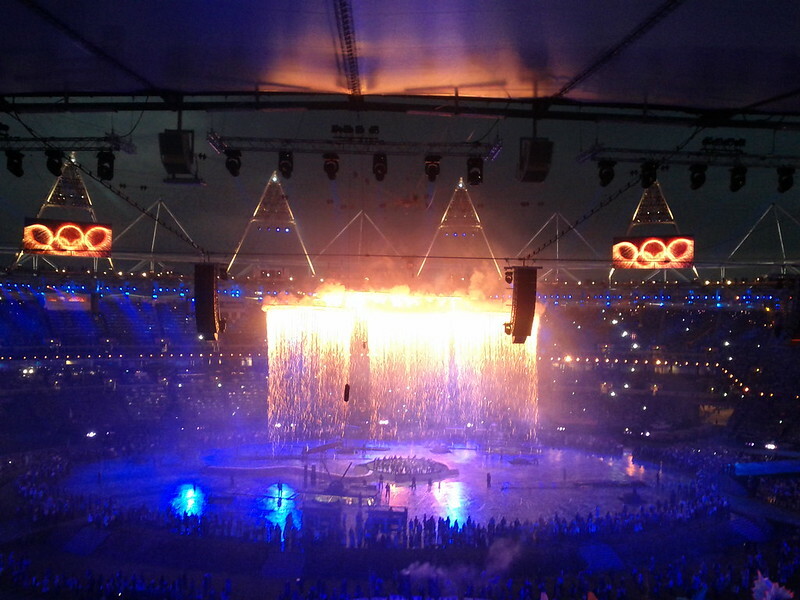 Drum and Bass producer High Contrast had done an amazing job of mixing the soundtrack for the athletes parade. He had a once in a lifetime selection of stems to work with, from acts including U2, Pet Shop Boys, Bee Gees, Underworld, Chemical Brothers, and Bowie. All were mixed to a solid 120 bpm marching speed. Relentlessly positive, and shamelessly highlighting the many iconic hooks. 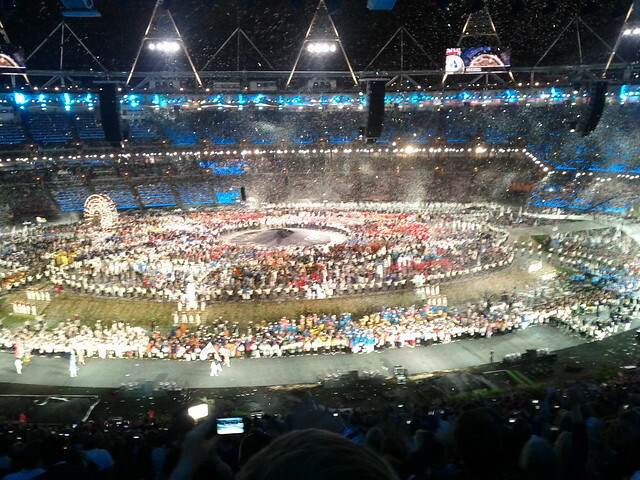 There was exhilaration, as finally the Great Britain team entered the stadium, to the tune of Bowie’s Heros. The home team represented the hopes and aspirations of many across the world, during a special moment. 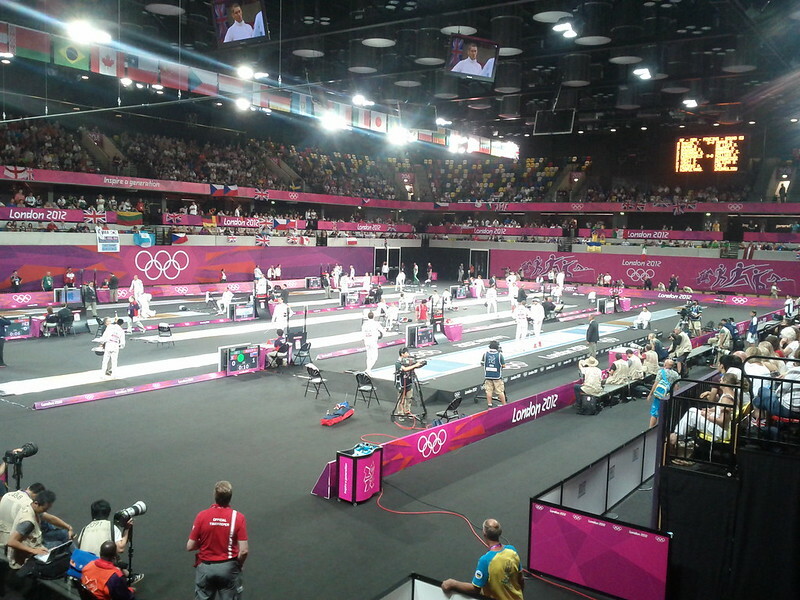 The athletes were clearly as overwhelm as the audience. Tears were shed that moment. I bet many of the same people shed more tears at the sad news earlier this year. There was the heat of the caldron. 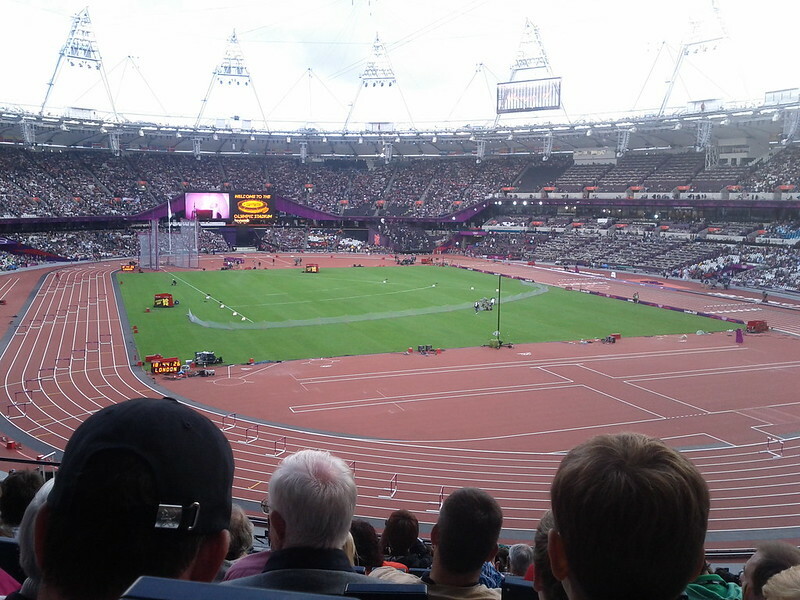 Finally, as the stadium emptied, Mirona and I made our way from our seats near the roof, towards the front rows. The brightness and warmth of the flames were striking. This is not an opulent show compared to London or compared to Beijing, but it will be a very emotional ceremony, full of heart and very graceful. I’m looking forward to a ceremony full of heart. My London memories are of sensations, not glitz. I’d love to be in Rio for the next few weeks, but London is a pretty good alternative. Tomorrow night I’ll be glued to the TV. 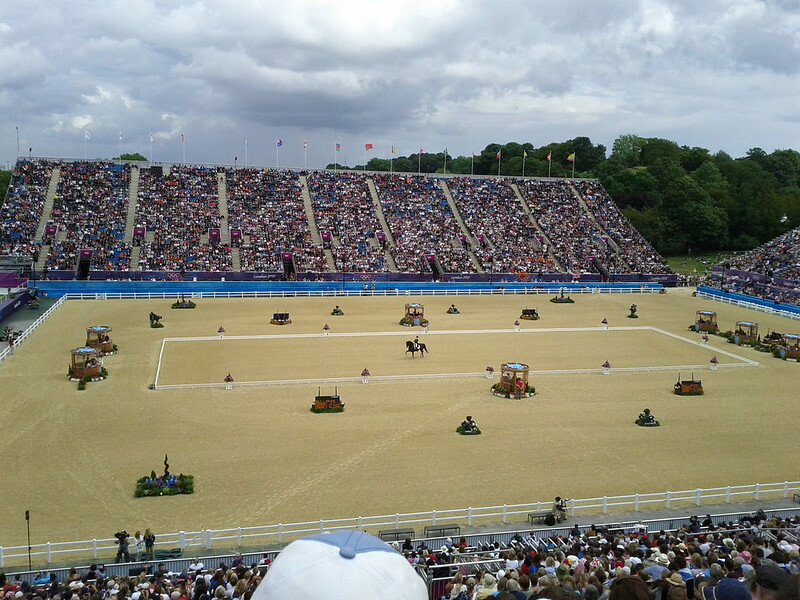 How amazing that this is just the appetiser, before the sport to come. 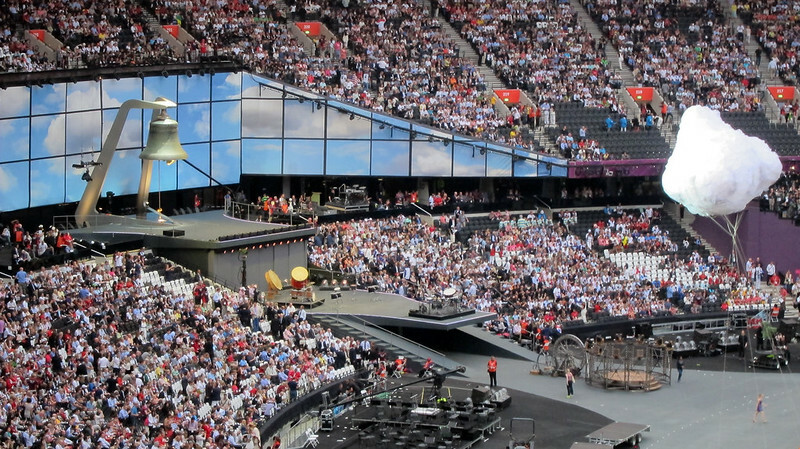 If you want to warm up for tomorrow, the BBC have a brilliant documentary about the London Opening Ceremony, available on iPlayer. 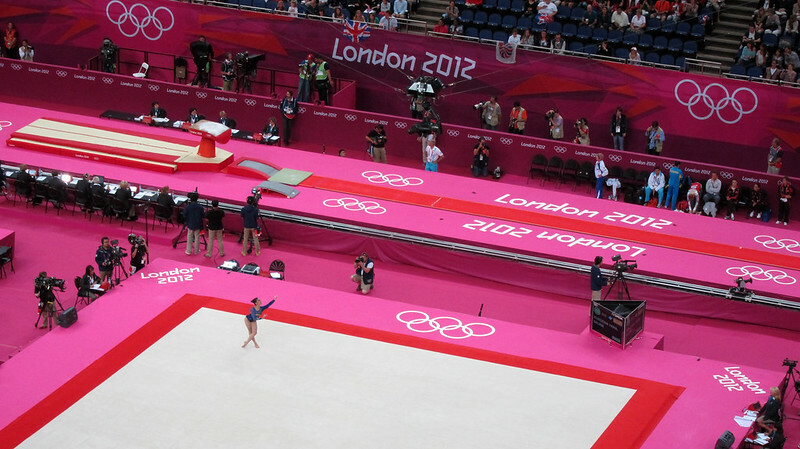 In the UK, BBC Olympic programming start at 8.30pm on Friday, then continue from 11.40pm. The Rio opening ceremony starts at midnight London time. And if you liked pictures from the stands, there’s more here. Thanks, Mirona for taking them and letting me use them.